Yes, this little pink oinker is really that small! It’s easy to get lost when you’re so minute. Keep him safe in your pocket, close to your heart. 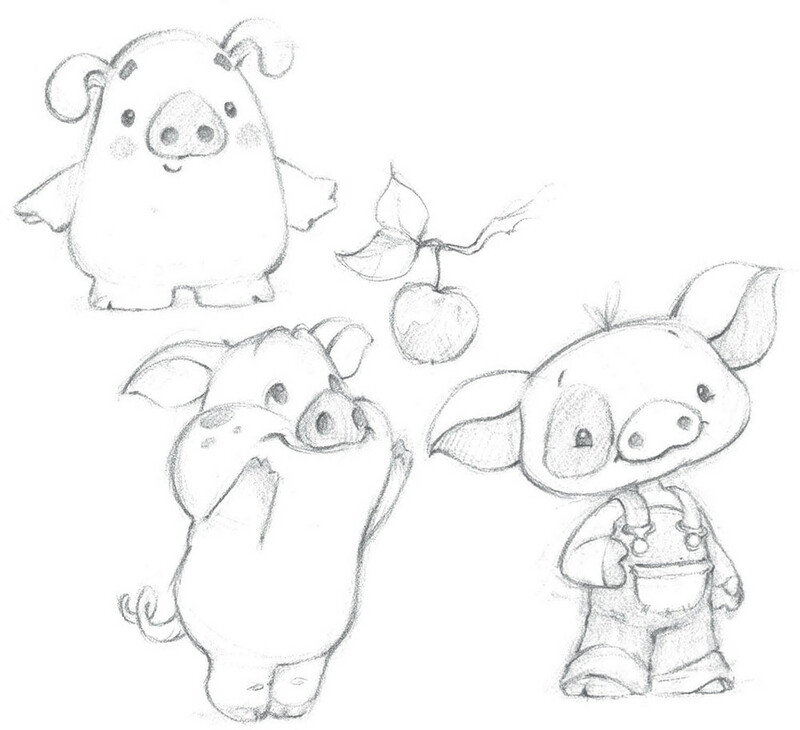 Little Oink is the tiny piglet with a big heart. Being so small, the giant world around him can be quite daunting, so he’s a little shy by nature and can often be found snuggled in a sock or relaxing in a teacup, comfortably out of sight. Being such a titch does have its advantages though; Cakes and sweets are HUGE! 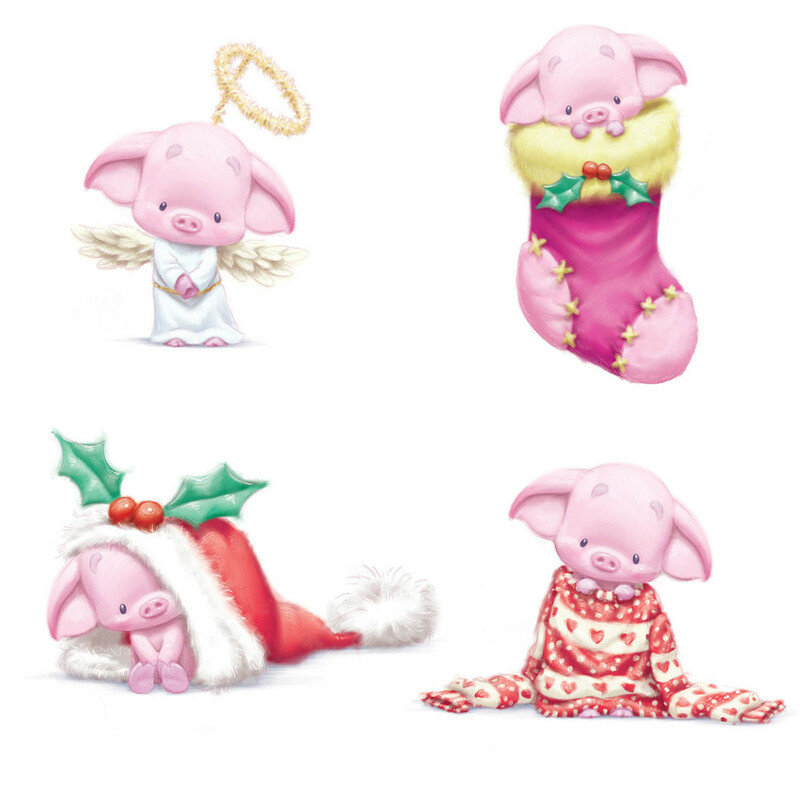 It’s this use of oversized props and accessories, combined with his baby-like proportions, which are the key to Little Oink’s cute appeal. 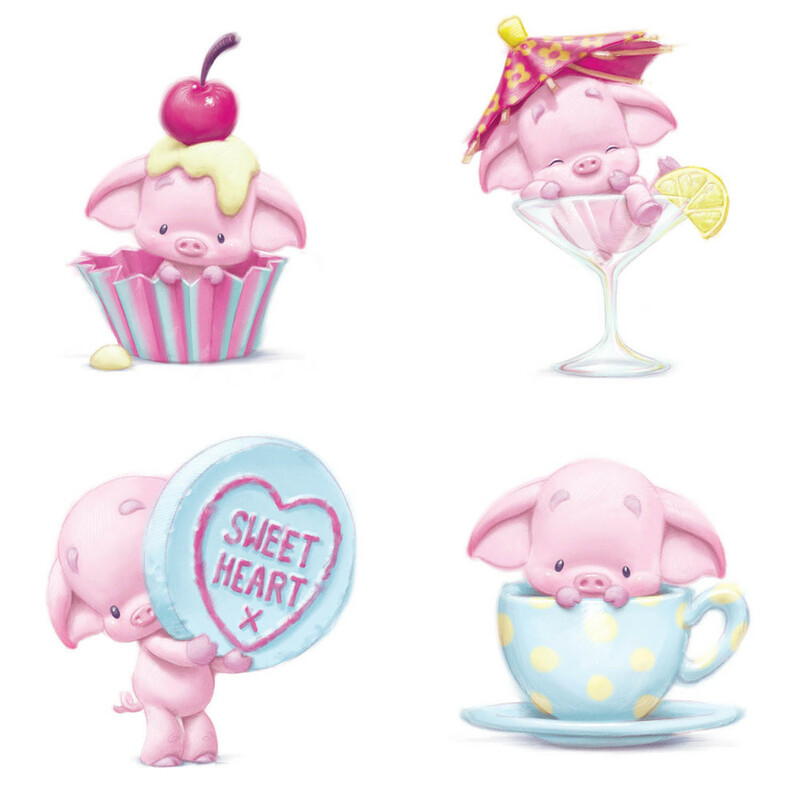 Little Oink is was designed in answer to a brief from Tesco, the UK's largest retailer, to create a cute character which is different than the usual bears, dogs and rabbits so common on the shelves of greeting card stores across the country. Along with 'Ruffles' the raccoon (read all about him here), this little guy was also selected to make it into stores. Although the obvious target audience would seem to be female shoppers, he actually works quite well on certain male captions too.